Customizer Module for Prestashop offer online product customization to your customers, giving them the opportunity to choose images, text, put in various forms. This module can be used to customize all products one side based on different layout like Mug, Plate, Rectangle Puzzles , Mouse pads, Wooden Frame, Phone cover. Image custom product to print stored with big quality. 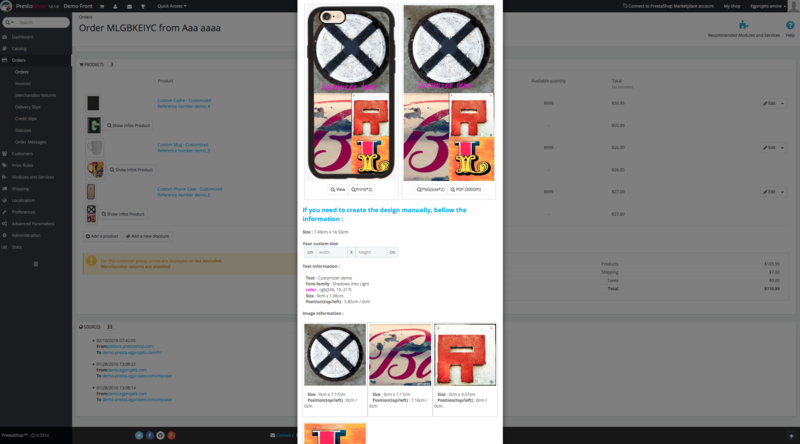 Add Text on the custom product.